We’re ZSL, an international conservation charity, and our vision is a world where wildlife thrives. We’re working every day to achieve this, through our science, our field conservation around the world and engaging millions of people through our two zoos, ZSL London Zoo and ZSL Whipsnade Zoo. Our registered charity number is 208728. ZSL is committed to protecting your privacy in accordance with our obligations under data protection legislation. Current data protection law is found in the General Data Protection Regulation (as supplemented by the Data Protection Act 2018) and related law such as The Privacy and Electronic Communications (EC Directive) Regulations 2003. ZSL promises to respect any personal data you share with us, or that we get from other organisations and keep it safe. We aim to be clear when we collect your data and not do anything you wouldn’t reasonably expect. For example, when you make a purchase with us for Zoo tickets or animal experiences, give a donation or register for an event we will ask you for your personal information in order to for us to process your purchase or donation or help arrange your event. This information is likely to include contact information and payment information. We use ‘cookies’ to enhance your experience on our website. Cookies mean that the ZSL website will remember you for a particular purpose and for a particular length of time. To see our cookies policy, please click here. When you’re accessing our website and apps, your device may provide us with information about the device you’re using, this could include the type of device, what operating system you’re using and may report any details of a website or app crash. Your device manufacturer or operating system provider will be able to provide you with more details about the information your device makes available to us. We use Google Analytics to help us understand how visitors are using and engaging with our website and apps. This allows us to make improvements to our web services and your online experience. The Google Analytics tracking tool uses a number of cookies to collect information and report website usage statistics and does so without personally identifying individual visitors to Google or ZSL. The information generated by the cookie about your use of ZSL’s website and apps will be transmitted and stored by Google on servers in the United States. In addition to reporting website usage statistics, we use Google Analytics in conjunction with additional advertising cookies. We use these cookies to select advertising based on what’s relevant to you, to measure interactions with the ads we display and to improve reporting on campaign performance. ZSL will not merge personally-identifiable information with anonymous information gathered from these analytics systems unless there is prior notice and affirmative consent via opt-in from the user. When using any of these tracking tools ZSL does not identify users or facilitate the merging of personally identifiable information with non-personally identifiable information collected. In addition to the above ZSL uses other third-party tracking tools to collect non-personal information about consumers and their online behaviour for advertising purposes. This data is used to inform ZSL about the audiences whom are most likely to be interested in our products and services so that we can deliver more relevant and targeted advertising. Information we get from other organisations when you give them permission to share your details, or your information is available publicly. 3. What information do we collect and how do we use it? The type of personal information we will collect about you will depend on the purpose of collecting the information. In addition to the above, when you submit a form on our website we may collect and store your internet protocol (IP) address. This includes when you submit a form to partake in a prize draw, promotion, event, competition or complete a survey. We collect this information to track submissions on the form to manage and administer our services. We will only keep this information for as long as necessary to fulfil the purposes we collected it for. At the end of that retention period, your data will either be deleted completely or anonymised. In some circumstances we may also collect sensitive information including information relating to your health. However, we would only request this information where this is required and relevant to the reason why we are processing your data such as if you are registering to take part in a high risk challenge event. When you provide us with your personal data we will use this for the following reasons. We will only contact you by email or text message if you actively consent to this, unless we believe there is a legitimate interest to contact you. By consenting to ZSL emails or opting in to email communications, you grant us permission to use your email address to send you email marketing communication. At any stage you may choose to opt out of such communications – more information on opting out is here. If you have provided us with your postal address or telephone number we may contact you by post or telephone about our work, unless you have told us that you don’t want to receive this. Before making such calls we will always screen against the Telephone Preference Service (TPS) or, where sending letters, we will always screen against the Mail Preference Service. Where you are registered with the TPS we will only make calls to you if you have specifically consented to receiving calls from ZSL or if we need to contact you in reference to a purchase, for example if there has been a problem in processing a payment. Likewise we will only write to you if you are registered with the Mail Preference Service if you have specifically consented to receiving letters from ZSL. ZSL will not sell your data. We will not share your data for marketing purposes unless you have actively consented to this. However, in some circumstances we may need to share your details with a third party for processing. This could be if we run an event in partnership with another organisation and they need your details in order to fulfil your tickets or experience. For example, if you are taking part in a running event with us, we may need to share your details to be able to send your race pack to you. We may also use a third party to process your personal details if we need to send your data to a mailing house in order to fulfil a postal mailing to you, this could include sending you a letter about your membership. we will only use your personal data in this way if you have opted in to receive marketing messages from ZSL. ZSL is an international scientific, conservation and educational charity, we rely on voluntary income to carry out our mission to promote and achieve the worldwide conservation of animals and their habitats. This vital work is supported by individuals, trusts and foundations and companies who we work with and fundraise from. We aim to target our fundraising activities to ensure that we contact you appropriately. We may use simple research methods to profile supporters and to identify shared interests and connections. We may work with trusted third-party partners such as database screening companies to provide us with further information about our supporters. All information is obtained from publicly available sources or data that you have given to us. We use this information to understand who our supporters are and what they may be best interested in. This information aids us in making appropriate fundraising approaches to those who will be most interested and most able to support ZSL. In addition, we are also registered with the Fundraising Regulator and use the Fundraising Preference Service, a service which allows people to opt out of fundraising communications from charities. We receive regular updates from the Fundraising Preference Service so if you opt out that way, we will remove you from our email, phone, text, and postal communications. We may use profiling and screening techniques to ensure that the communications we send you are relevant to you. This allows us to provide an improved experience for our supporters. When building a profile of our supporters we may analyse geographic and demographic information, as well as your online behaviour and purchase history, to better understand your interests so we can contact you with relevant messages. An example of this would be looking at your location so we can share information about relevant events in your area. You can opt out of your data being used in this way by emailing dataprotection@zsl.org. You always have a choice as to whether and how you want to receive communications about our work, products and services and ways you can get involved. If you do not want us to use your contact details to contact you in the future you can opt out of this when we collect your details or at a later time. If you ever want to change your contact preferences, or opt out of communications, you can do this by emailing dataprotection@zsl.org. If you choose not to be contacted by us we will never send you personalised marketing communications, but we will keep your details on a ‘suppression list’ to ensure you aren’t contacted. In some circumstances we will collect and process your personal information using the legitimate interest legal processing basis. Sometimes, we will need to process your data as it is part of a contract which you have entered into. For instance, if you have booked an event or animal experience with us, then we will need to contact you and take payment to enable us to provide the relevant services under the agreement with you. However in most circumstances, we will rely on your consent when using your personal data. An example of this would be when we request your consent to receive marketing emails from ZSL. We hold your information for only as long as necessary for the purpose needed. For example, if you have declared gift aid, HMRC require us to store your name and address for seven years. On some occasions we may collect and manage data of under 18’s. We will always aim to manage this data in a way which is appropriate to the age of the child and will only keep this data for the purpose in which it was collected. Children’s data is usually only collected if you hold a ZSL membership or a child takes part in one of our experiences. We will always try to seek consent from the parent or guardian of the child before collecting and processing this information. If you apply to work or volunteer at ZSL, we will use the information you supply to us to process your application and to monitor recruitment statistics. If you are unsuccessful in your application we will keep your personal information for 12 months. If you request to join our talent pool to find out about future opportunities we will keep your information for this purpose only for 12 months. If you consent to having your photo taken and used for marketing or PR purposes we will hold your name, image and age (if applicable) on file for future re-use. We are committed to supporting our vulnerable supporters and will do all we can to assist our supporters in making an informed decision about the support they wish to give to ZSL. We follow the Institute of Fundraising’s Code of Practice and follow guidance provided by the Direct Marketing Association when speaking to supporters on the phone. 4. How do we keep your personal information secure? We always ensure that we have the necessary controls in place to protect the personal data you provide us with. We carry out regular audits of who has access to data so that we can ensure that your information is only accessed by trained staff. ZSL makes every effort to maintain customer confidentiality when securing an online payment. This includes ensuring the security of your credit card details and other personal information. We don’t store your card details on any ZSL system. All of your personal information is encrypted as it travels over the internet. When you make a booking, you enter a secure internet site (indicated by the letters https:// in the address bar and or a padlock displayed in your web browser). When you make a payment you enter your card details directly into our payment provider’s secure web page. To protect you against credit card fraud (where someone has discovered your credit card details but do not have your card), you will be asked to enter the unique security code printed on the back of your payment card. Creating a new Direct Debit mandate online requires your name, address, email address, and details of your bank account. This information is used to set up a regular Direct Debit payment with your bank and is retained by us securely in order to claim monthly or annual payments from your account as per your instructions. All transactions are covered by the Direct Debit Guarantee. 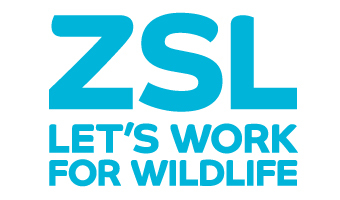 Sometimes we use external companies to collect or process your personal data on behalf of ZSL. We carry out thorough checks on any companies we work with and have a contract in place with each of these companies to ensure that they process your information in line with our expectations. Some of our suppliers may run their operations outside the European Economic Area (EEA). Although they may not be subject to same data protection laws as companies based in the UK, we will take steps to make sure they provide an adequate level of protection in accordance with UK data protection law. By submitting your personal information to us you agree to this transfer, storing or processing at a location outside the EEA. If requested we may need to supply your information to the police, regulatory bodies or legal advisors. We will not share your data with any other third parties unless you have given your explicit consent for us to do so. Under the General Data Protection Regulation you have the right to request a copy of the personal information we hold about you. You also have the right to request that we erase any personal information we hold, where ZSL has no compelling reason to continue processing this data. If you wish to request this information please contact dataprotection@zsl.org or call 0344 225 1826. We will then send you a form which you will need to complete and send back to us by post. We will also require you to provide two forms of identification. Once we have received your information request and your identification we will respond within one month. If you have any questions, comments, or concerns about data protection at ZSL please contact our Data Protection team on dataprotection@zsl.org. If you are not satisfied with the response you receive from us for any reason then you may wish to contact the Information Commissioner’s Office via https://ico.org.uk/.